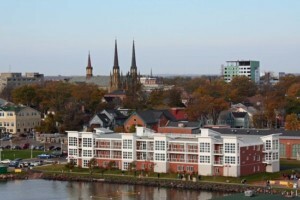 Population estimates released Wednesday by Statistics Canada show that Prince Edward Island has hit its target of 150,000. In fact, the government agency has adjusted previous estimates, and now shows the province hit that target at the end of 2016. The estimates show a population of 152,021 for the province on July 1 of this year. With 1.7 per cent growth from July 2016 to July 2017, Prince Edward Island was the fastest growing province in the country. Nationally, growth was 1.2 per cent. The current population estimates are still based on the 2011 census. Estimates will not be reconciled with the 2016 census until September 2018.